Before you go Hog wild (sorry, had to say it) on bacon please read the following disclaimer. Let me state up front that saying bacon is “healthy” does not mean it’s healthy to eat it in huge quantities nor does it mean it’s healthy to eat large amounts seven days a week. Try to stick to small servings, blot extra bacon grease off to lower fat intake, and avoid adding extra salt or other high sodium seasonings. I suggest to consume only 2 or 3 slices and only once a week. 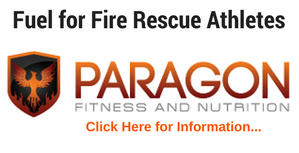 Also, let me state that as a fire rescue athlete you should try to plan your meals like you plan your Fire Rescue Fitness workouts (click here for the best firefighter workouts). If you are eating bacon, keep the fat levels that you consume in “check” the rest of the day. 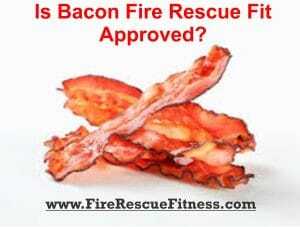 Now, with the disclaimers out of the way, here are 5 reasons why you should serve bacon in the firehouse (besides the obvious). Reason 1. Bacon can put you in a good mood. If your Lieutenant or Captain is in a bad mood consider serving bacon. It contains high amounts of the neurotransmitter glutamate. Glutamate affects brain chemistry in a way that boosts mood and increases happiness levels. Bacon also has a a flavor called ‘umami’ which also makes it taste so good. Unami has also been shown to enhance mood and lower stress levels. Reason 2. 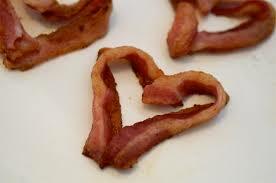 Bacon can be good for your heart. While people over the years have made jokes (especially in the firehouse) about the fat in bacon being a leading contributor to heart disease, the truth is that bacon can actually be good for your heart (in moderation of course). There are in fact several studies that show that the Omega-3 Fatty Acids and “choline” found in bacon can actually protect the heart from developing abnormalities and reduce inflammation! The saturated fats in bacon also provide a number of beneficial functions. Saturated fats improves the health of the liver and lungs, increases immune function and improves brain functions (which we all can use). Reason 3. Bacon Contains Protein. Bacon contains a significant amount of protein — and high quality protein at that. Most vegetable sources of protein are incomplete, and require additional vitamin supplements. Bacon, on the other hand, has one of the highest amounts of essential amino acids–meaning your body needs them but can’t make them. These amino acids include tryptophan, leucine, and glutamic acid and are vital for brain health, building muscle and essential for nervous system function. Reason #4. 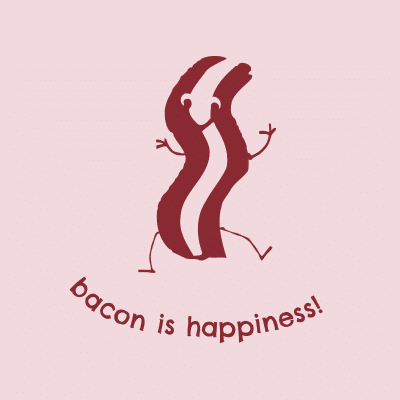 Bacon can boost brain function. Bacon contains high amounts of the chemical choline, studies have shown that choline can improve memory, learning speeds, and brain cell size. There is also evidence that choline may be beneficial for brain disorders such as Alzheimer’s, dementia, Tourette’s syndrome, seizures, and schizophrenia (maybe they should administer it in the ambulance). Choline is a precursor to the neurotransmitter acetylcholine, which is not only key for muscle movement, but also sensory perception, sustaining attention, and decision-making. Regular consumption of choline may reduce the incidence of dementia as we age. Reason #5. Bacon has vitamins. Bacon is high in vitamin B1 (thiamine), vitamin B2 (riboflavin), vitamin B3 (niacin), vitamin B12 (cobalamin), vitamin B6 (pyridoxal phosphate), zinc, iron and magnesium. All of these help a number of processes in the body: reduce headaches, produce antibodies and hemoglobin, manage glucose levels and maintain normal nerve function. Making bacon with the crew. The best way to keep bacon in your diet is to not pig out (couldn’t resist) on it and/or use as a condiment rather than a main part of your meal. 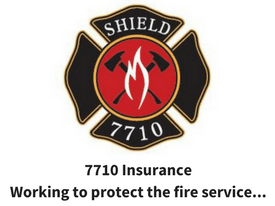 You can also buy turkey bacon that’s lower in fat than regular bacon, but that usually doesn’t go over well in the firehouse. Remember to buy as close to all natural oven-baked, organic, grass-fed, nitrate-free bacon as you can. Remember all good workout programs need good nutrition guidelines. 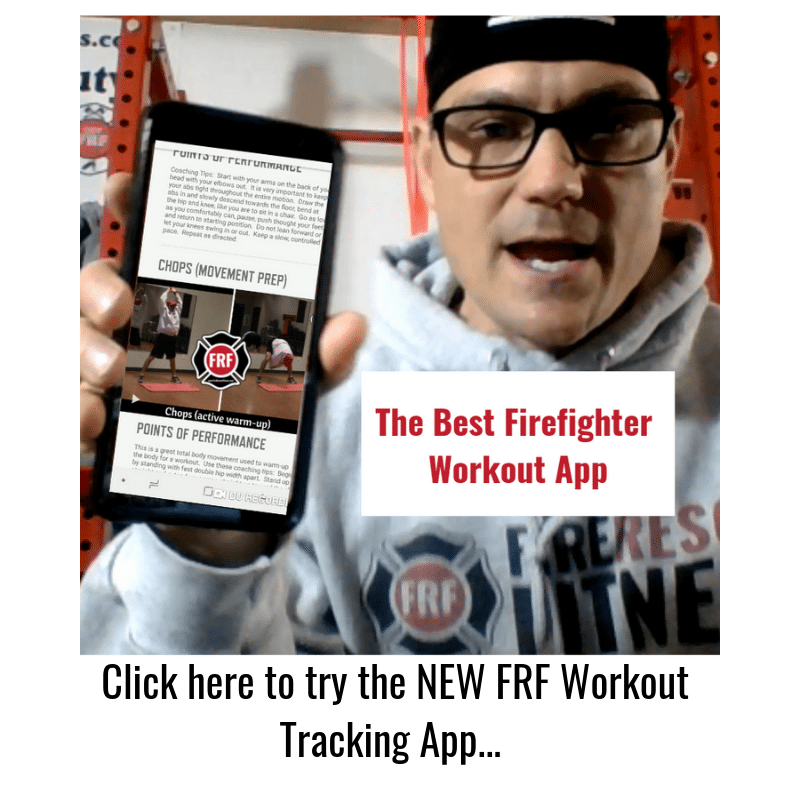 Purchase any FRF Workout and get the Standard Operating Procedures to Eating Lean in the Firehouse free for a limited time (click here for details).